Selling Soda at School: Is It Legal? Last February my son’s school had a fundraiser on Valentines Day. Called “A Crush for a Crush”, students had the option to purchase an Orange Crush to send to another student for a mere $1. But technically illegal. Ed Code SB 965 specifically outlines what kinds of drinks can or cannot be sold on K through 12 campuses, and soft drinks are definitely NOT on the list of approved beverages. Yesterday I attended my son’s middle school track meet. It was a beautiful day–but warm for this time of year. I was thirsty. As I walked past the school snack bar on my way to the drinking fountain, I happened to notice that the parent club was selling candy and soda. Having read the school wellness policy, I know that these items cannot be sold on campus during the school day. Just out of curiosity I asked a couple of my son’s teachers/track coaches if they were aware of the policy. They were not. In fact, they seemed rather surprised. And, truth be told, I’m not quite sure they believed me. One of the coaches even asked me why. school policies in place to prohibit or restrict the sale of these items in school. not important and conflicts with what children learn in nutrition education. • Selling junk foods and sugary drinks in vending machines and a la carte lines undermines the recent efforts schools across the country have made to offer healthier school meals. • It is shortsighted to supplement school budgets at the expense of our children’s health. can raise by selling sugary beverages and junk foods in schools. country show that this is not the case. I later spoke with the district superintendent who assured me that this problem will be addressed. Most likely during the next school year. Check out the legislation for yourself. SB 965 addresses beverages and SB 12 details the requirements for foods sold outside of school provided meals. If you live outside California, here’s a link to the National Association of State Boards of Education to find out how your state deals with vending machine and other food/beverage sales at school. 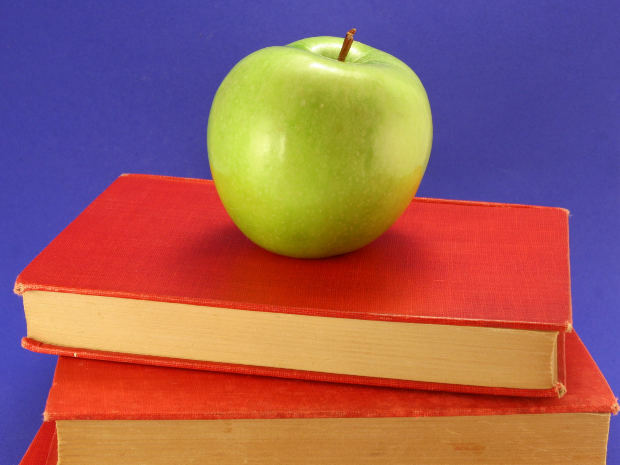 Does your child’s school have a wellness policy? Tell us if you’ve read it. If you have personal experience/knowledge about what type of food and beverages are sold at schools in your area, please share it with us here. The policies/laws are changing. Slowly. These changes are long overdue. It’s time to get the word out so there can be some oversight. Parents, teachers, food service workers and administrators need to work together. We all share common goals of improving the quality of the food and drink our children consume while at school and protecting their health in the long run. This entry was posted in education/books, junk food and tagged California State Ed Code, National Association of State Boards of Education, SB 12, SB 695, school wellness policy by Robin Lewis. Bookmark the permalink.